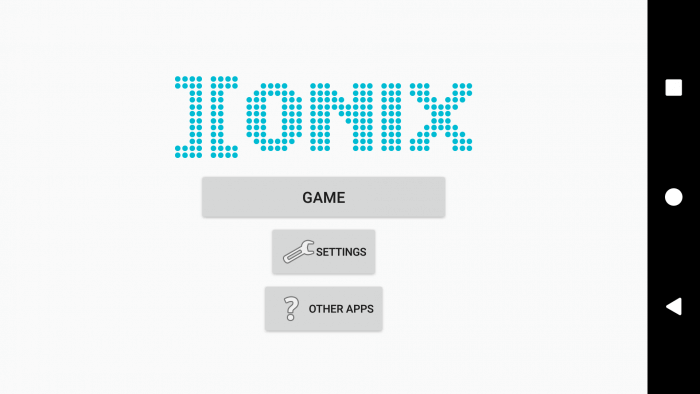 Xonix for Android. Made by standard tools Android SDK! I’d like to take a break from all these frameworks, engines and ready-made libraries. More precisely, do not rest, and strain yourself – to take and program a toy solely with the help of standard tools. Which one? 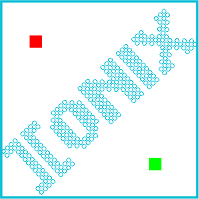 It’s easy to choose, because in the heart of any programmer there are always three games created in the last century: Tetris, Digger and Xonix. By the way, this article makes sense to read even if you do not plan to breathe a new life into the games of our childhood, because the real purpose of this material is to show you the work with the canvas, fonts, graphic objects, streams, standard application architecture and inheritance. We will develop the development in the recommended Google Android Studio. All that we need is easy to find by reference. Create an empty project and add all the classes manually. The whole game will consist of five activity classes, four of which we will describe in the manifest, and the fifth one will be the parent for all previous ones, that is, all activity classes will be inherited from one – so less code will be obtained. Start the application will be SplashActivity, it will after a time delay cause MainMenuActivity, from there you can go into SettingsActivity settings or run the main part of the game, located in GameActivity. All activities (except the last) will implement their interface in the most standard of all ways, namely the description of the elements in XML layout files. The main game field will be drawn on the successor of the SurfaceView class. Rendering will be performed in parallel to the main UI-stream. Now consider the class that was not included in the manifest, but it will save us a lot of code and time. This class will provide us with activity without title, with a portrait orientation, not dying out due to energy saving screen and animation of the appearance of each new activity. Here we just show our markup setContentView(R.layout.activity_splash). After 2000 ms, we run MainMenuActivity, and turn it off using the finish() method. It should be noted that the welcome screen is useful when you need to prepare for the application, for example, to copy the database or quickly download something from the Web. Well, at this time, the user should show a nice logo – no matter how parsimonious, the average user even likes this expectation, he will have an impression that the application is serious, since it takes something long to read before the start. This is used by some developers: they show the rotating wheels (ProgressBar) before running, although nothing useful is being done at this moment. Dynamically, that is, while the application is running, set the desired font to the desired font using the setTypeface () method. 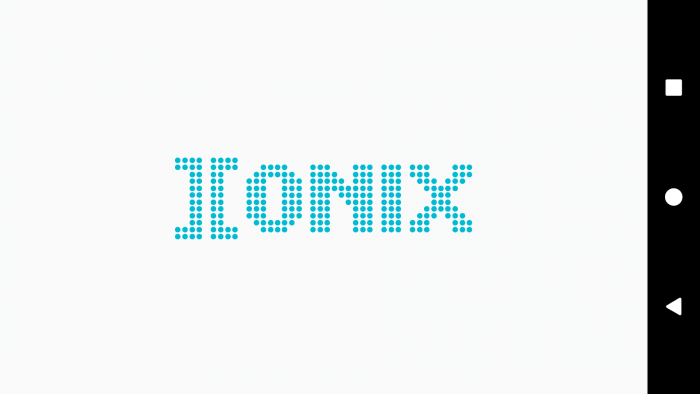 Statically – redefining the standard display component and setting it in a markup file. In our application, both methods will be implemented. Put the font file Dots.ttf in the assets folder. The layout of the first two screens is implemented statically. To do this, create a class MyTextView, the heir from the standard TextView. Set the style in the attrs.xml file. We apply our font dynamically, while drawing text on the playing field. That is, we launch the program through certain intent. The application must handle the Uri with the string market. The system itself determines by description in the manifest, which applications can handle this intent, and, if there are several, will offer a choice. Before publishing the application in the market: Do not forget to use a good tool to clean the project, which is included in the Android Studio Name it Analyze – Inspect Code. As a result, you will get a list of found remarks in the project – from unused resources to unnecessary variables. Take into account these comments, optimize the project! Settings (SettingsActivity) use the standard mechanism SharedPreferences. All settings are made in a separate Preference class. When the activity starts (onStart()) with the settings, we load the necessary settings into the controls. If we change the settings, they will be saved when they exit the activity (onStop()). In the settings we indicate the speed of the game and the number of lives at the start of the game process. Here we get the parameters of the screen (wight, height), which we will use when creating a popup window (PopupWindow) with a message about the end of the game. SurfaceView is a wrapper around the SurfaceHolder class, which in turn serves as a wrapper for the Surface class used to update an image from background threads. A feature of the SurfaceView class is that it provides a separate area for drawing, the actions of which must be taken out in a separate application thread. Thus, the application does not need to wait until the system is ready to draw the entire hierarchy of View-elements. The auxiliary thread can use the canvas (Сanvas) of our SurfaceView to draw at the speed that is needed. Create a class that is inherited from SurfaceView and implements the SurfaceHolder.Callback interface. Create a thread that will manage the rendering. The Canvas class provides methods for drawing that display graphic primitives on the original raster image. At the same time, you first need to prepare a brush (class Paint), which allows you to specify how the graphic primitives should be displayed on the raster image (color, stroke, style, font smoothing, and so on). You also need to specify Bitmap – the surface on which the drawing takes place. Android supports translucency, gradient fills, rounded rectangles and anti-aliasing. Due to resource constraints, vector graphics are not yet supported, instead, traditional raster redrawing is used. The Canvas class can be called a wrapper around a raster image, which we will use as a canvas for our artistic experiments. It provides a set of methods of the form draw* for creating images of cats and other objects. Our playing field consists of an upper inscription and a matrix of squares 40 x 20, in which the whole play drama will unfold. The logic of the game, I think, is unnecessary to describe. 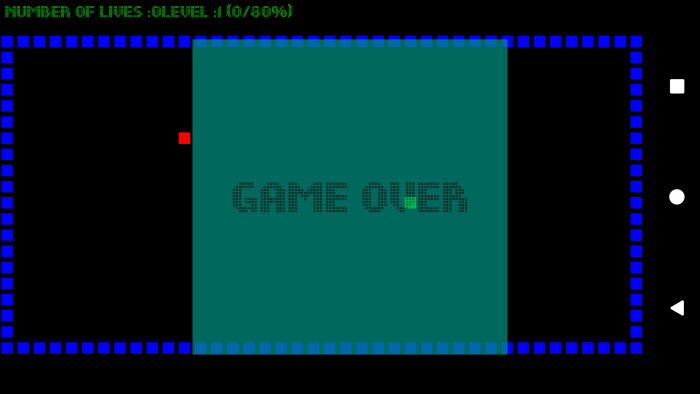 If the number of lives is less than one, then we will show Game Over – the end screen.